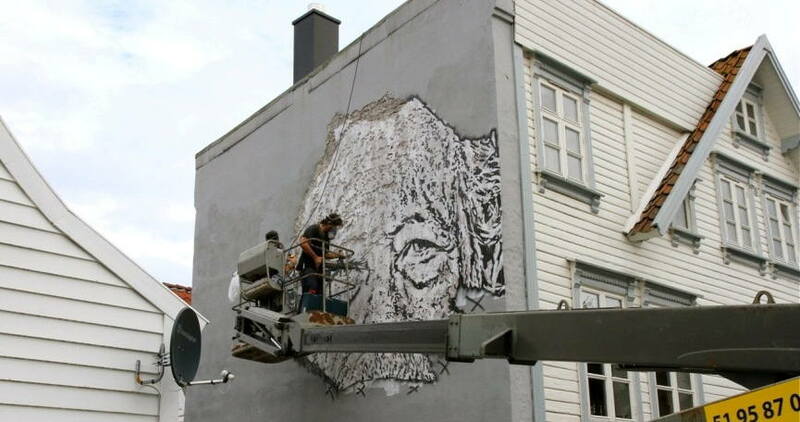 Vhils – street art by this star is bursting with originality, which is probably the crucial feature that separates a good one from a great artist. It’s a specific creativity that an artist is born with or picks up along the way. We’re all familiar with the list of extraordinary artists throughout the history, but what about the contemporary art? And more specifically, urban art? 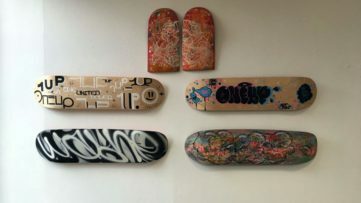 After years of proving that urban art is a lot more than just a simple wall painting with a spray can, it seems like the latest generation of street and urban artists has finally starting to confirm this fact. 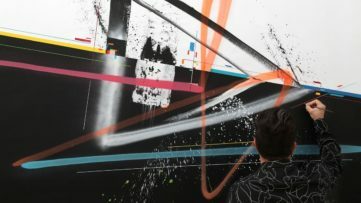 More and more urban artists are having their works exhibited in galleries alongside contemporary art’s big names. One of the first that made this transition and became an art sensation was Shepard Fairey who has come a long way since his humble beginnings in 1984 (more about Fairey’s journey here). 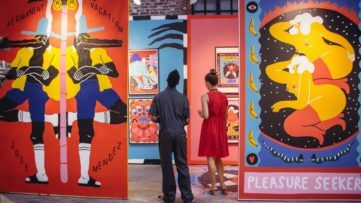 One other artist can easily make it to this list, even though he’s an official member of the art scene for a relatively short amount of time. 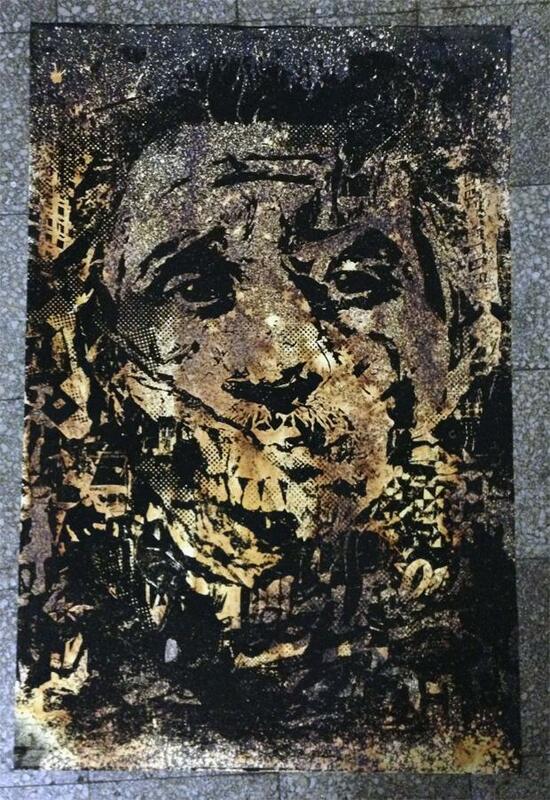 Alexandre Farto aka Vhils is a 27 year old street artist whose unique approach has made him one of the biggest stars of urban art. 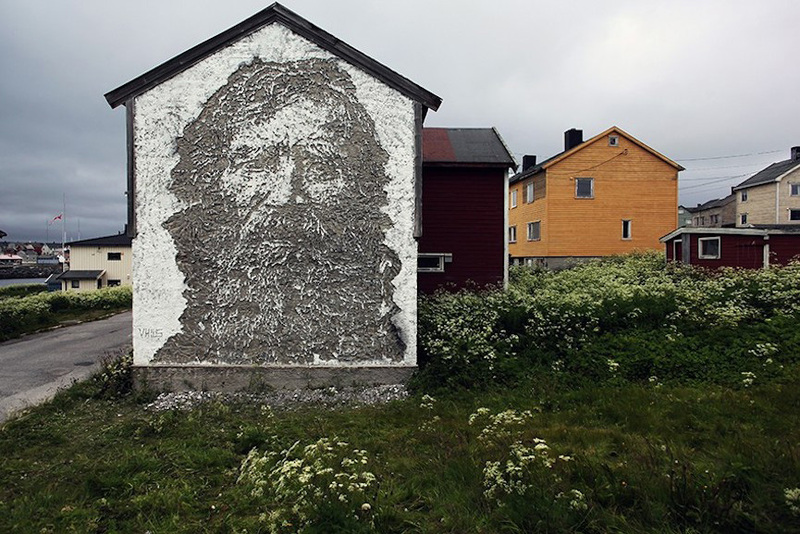 While most street artists were working hard to improve their painting skills and the use of spray can and a brush, Vhils chose a completely opposite process. Growing up in Lisbon, Portugal after the 1974 revolution played a crucial role in his decision on the artistic technique. Walking by the destructions and post-war effects on the buildings and walls of Lisbon was a natural environment for the young Alexandre Farto. 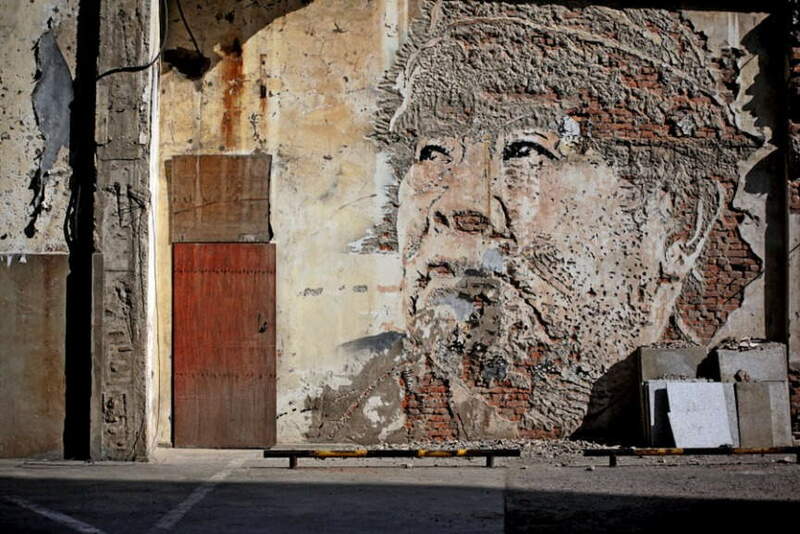 Just like the walls were dilapidated and destroyed, the artist decided to use this process as a basis for his work. 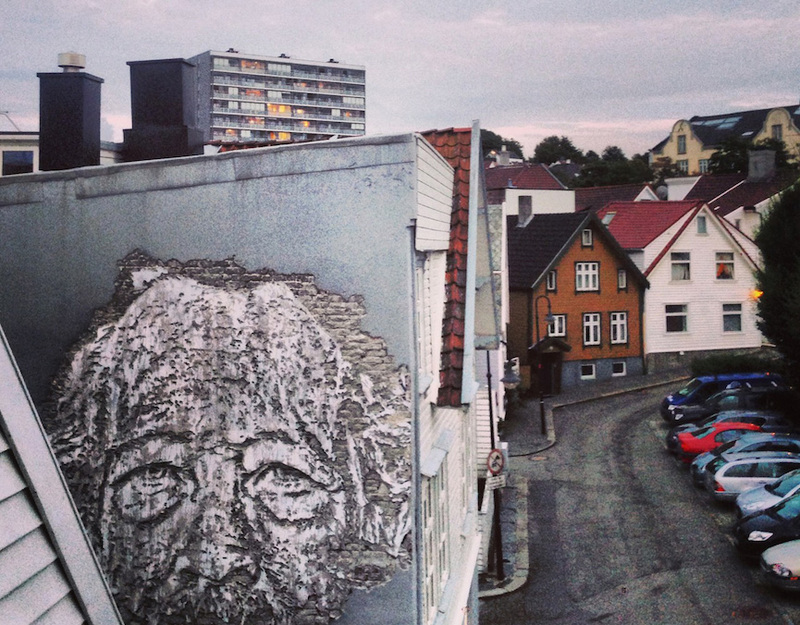 By eliminating the layers of the walls using various techniques, the artist started depicting real life portraits of local citizens. 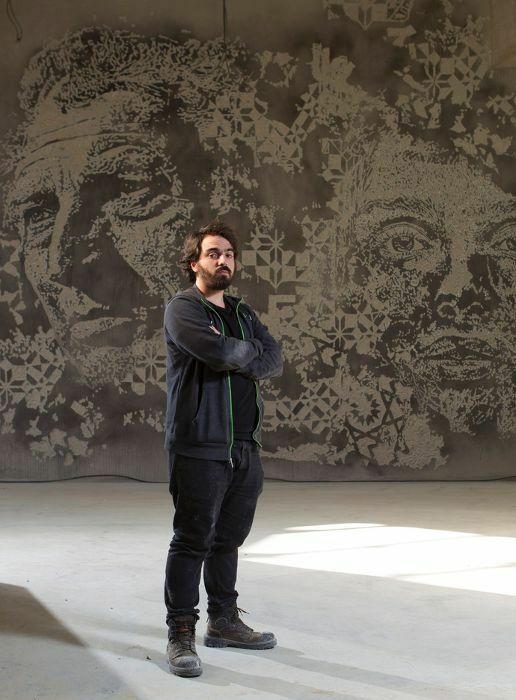 Vhils’ choice on the topic isn’t as random as one might think – for the artist, all people are composed of layers upon layers of social and historical fabric, just like the walls. Destroying the surface layers, Alexandre Farto accomplishes a more pure and honest form, making this whole process very symbolical and personal. 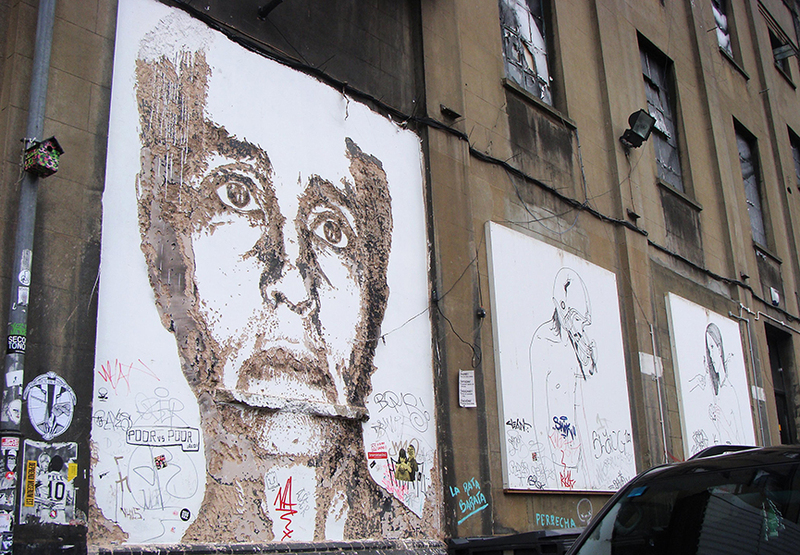 Since his big break in 2008, when Vhils’ work appeared on the same photograph as Banksy’s work at Cannes Festival, everyone wanted to know who was the guy creating these surreal portraits. 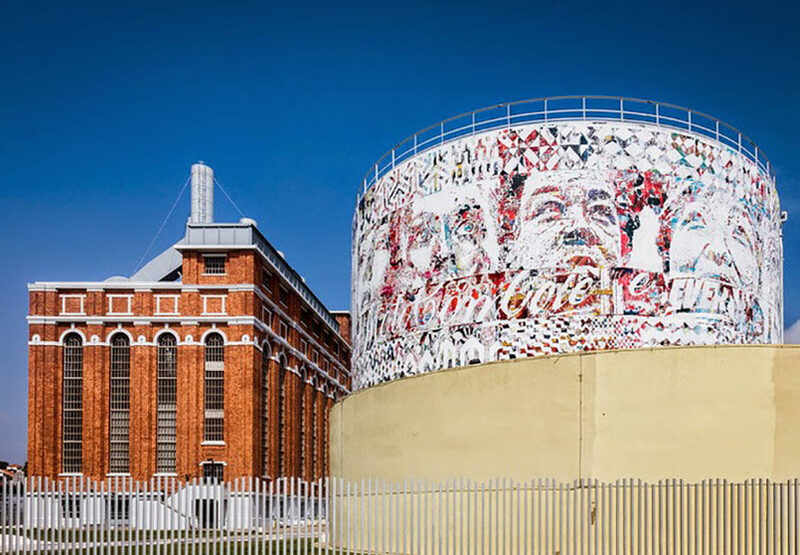 What distinguishes Vhils from most of his colleagues is the personal connection to the work. Not only the portraits he chooses to depict are special in a way, the process alone carries a deeper meaning and purpose. 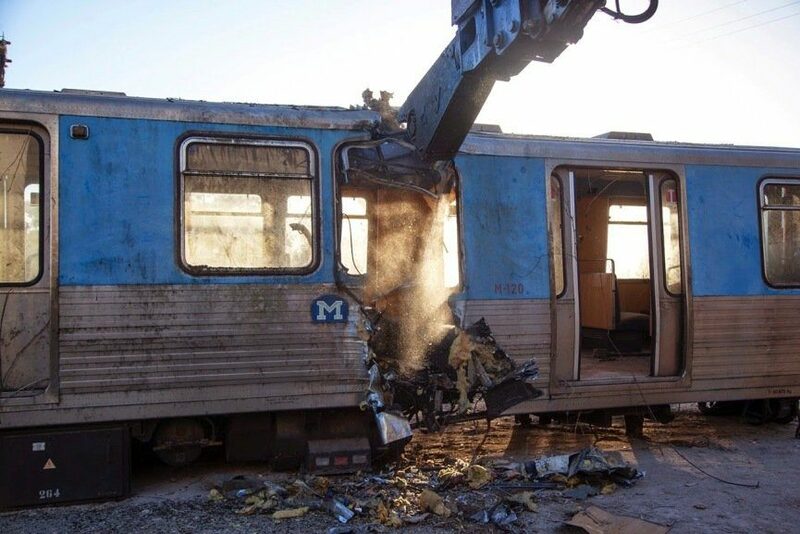 To him, destruction is a form of construction. 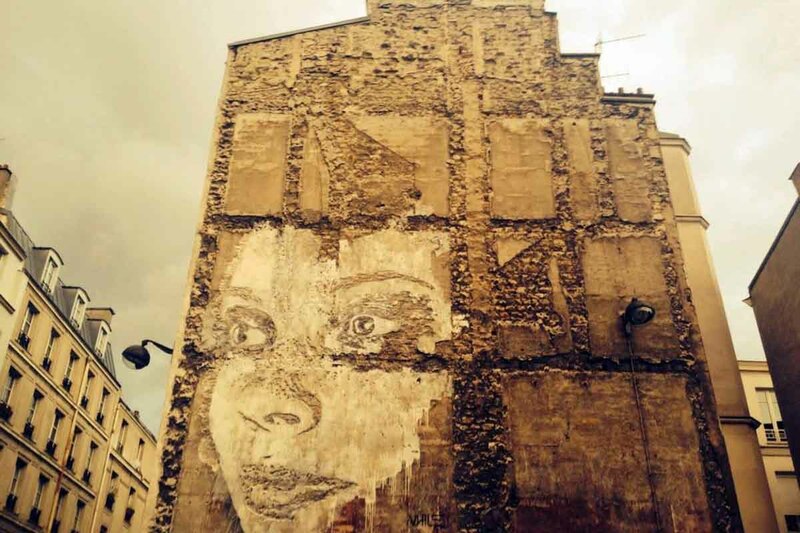 By etching, scratching, carving and even exploding walls, all the dirt, history and experience is being erased and with the new piece comes a fresh start. Just like his own technique and skills progress, the process itself evolves and changes. In 2014, the Portuguese born artist discovered a new approach to his already masterful work. 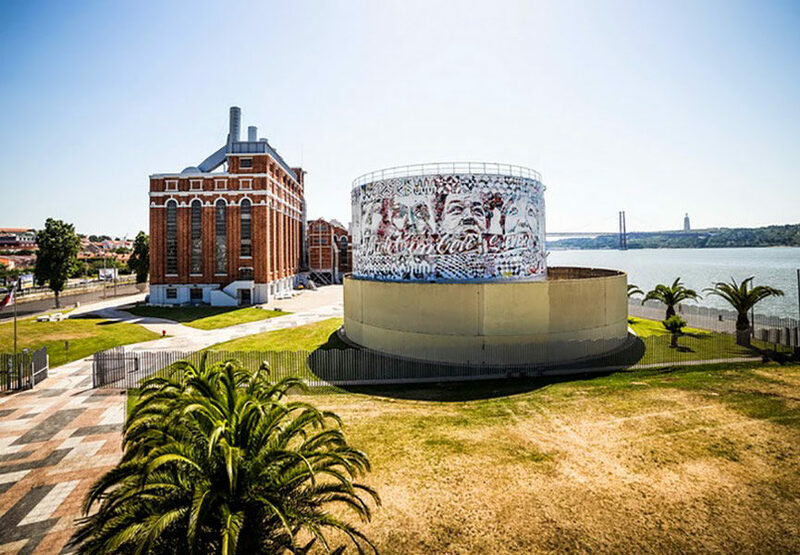 As part of the Dissection show, his first one in Lisbon museum, the artist takes an in-depth reflection on the urban space. This time, even though the process itself has chained, the idea is the same – by dissecting and dismantling objects, we find ourselves in a position to start over. Change is necessary to communicate with the mass public, and this includes society. Even after painting in more than 50 cities around the world and his experiments with directing and making art for music videos, the value of the artist is that his motives for creating remain the same. Art is there to connect with people and reach as many people as possible. Discover young stars by signing up for FREE to My Widewalls today.